We get asked a lot on which type of extension will work best. Not every person has the same hair, so the answers will differ depending on your hair texture. Daily Wear Clip In’s- There aren’t a lot of options for someone who wants extensions for a day. The most popular would be clip in extensions. They usually don’t take very long to put in and can generally be done on your own. **Things to remember** Keeping clip in extensions on for an extended time can cause damage to your hair. Remember to take them out daily and do not sleep with them in. Permanent: This is where you will have most of your hair extension options. Most hair extension methods last anywhere from 6 weeks to 3 months. 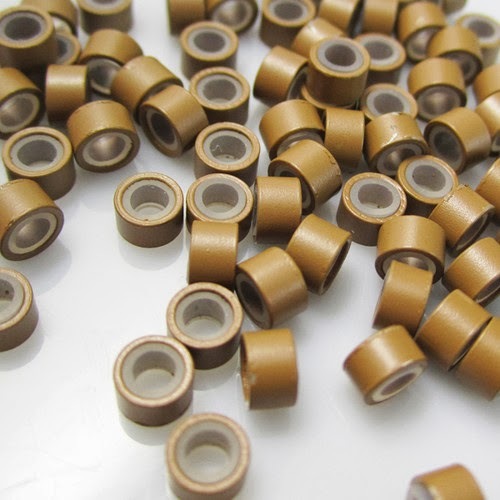 Tape in- Tape in extensions have gained significant popularity over the last 2 years. People are unsure on having tape put in their hair, but tape is actually less damaging than other hair extension methods. 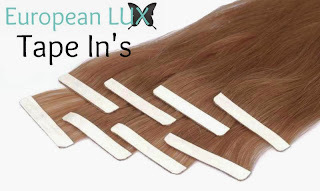 Tape in extensions are great for women who want to keep their extensions in for 6-8 weeks. This method is not recommended with thin hair. I Tip- This method is done by using beads/rings. Your hair is pulled through the ring and then the ring is compressed to ensure a strong hold. The hold time is 2-3 months with this method. This method is not recommended for people with short or thin hair. Keratin- Will take longer to install than most other permanent methods, but will last up to 3 months. The keratin is a protein based polymer that is clear and will match any hair color.